Morning, all! 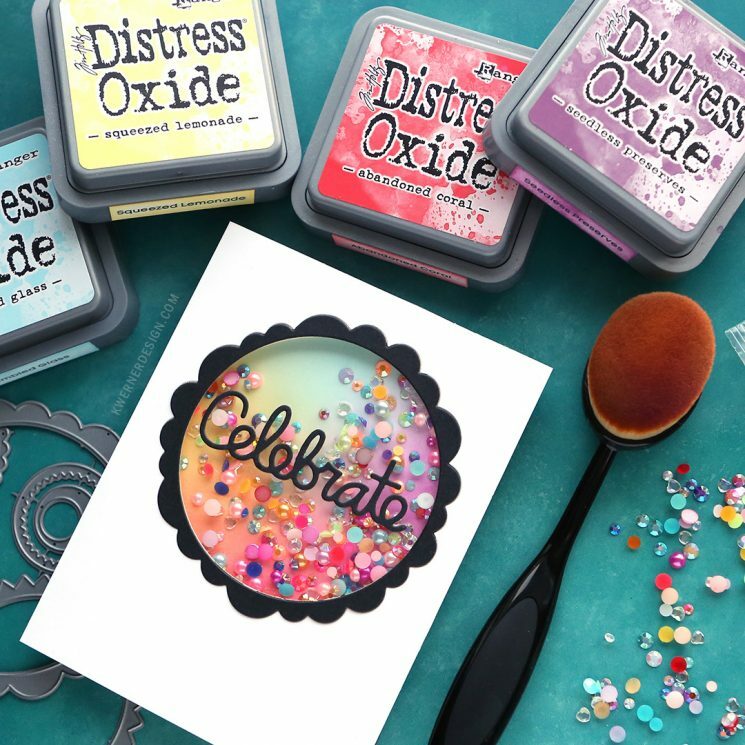 With all of the blending I’ve been doing lately, many of you have been suggesting I try out the “Life Changing” Blender Brushes from Picket Fence Studios. Picket Fence was kind enough to send me some of their brushes so in today’s video I’ll be trying them out for the very first time. I tried one of the brushes with four colors of Distress Oxide ink: Abandoned Coral, Squeezed Lemonade, Tumbled Glass, and Seedless Preserves. I found that swirling the brush in a circular pattern on the ink pad was the best way to “load up” up the brush with ink. Then I swirled the brush onto the cardstock and I was left with a very delicate application of color. These brushes are great for very fine and light application. The blending was beautiful! 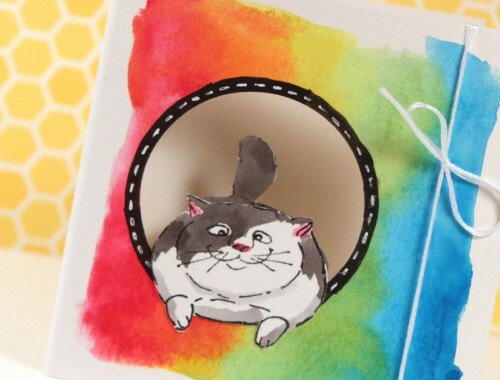 I think the blender brushes would be great for those who struggle with getting a very light-handed application of color (which let’s face it, is everyone–blending ink can be tough!). 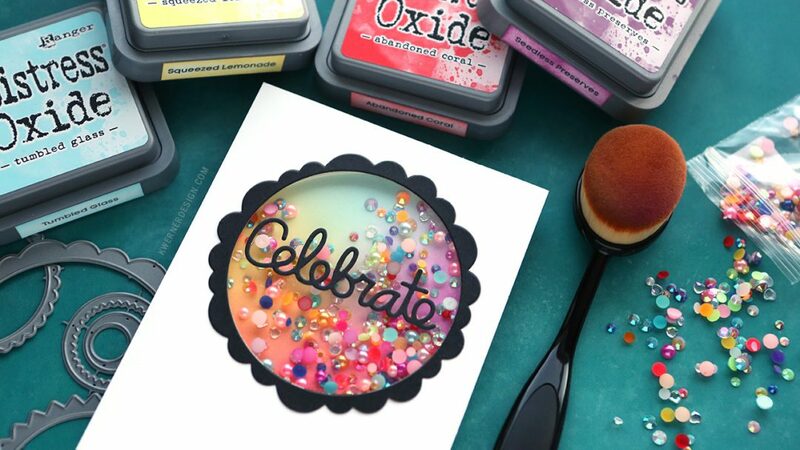 To create the shaker card, I used the Flaunters dies from Paper Smooches to cut out a circle window, and the Over the Rainbow Shaker Mix from Little Things by Lucy’s Cards for the colorful pearls and gems inside the shaker. 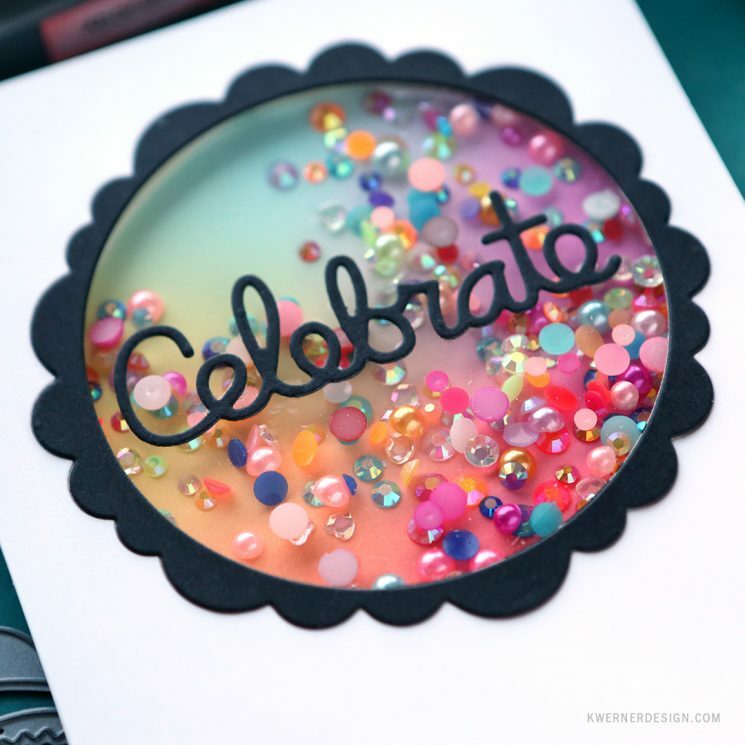 I finished off the card with a greeting die cut from Paper Smooches Celebrate Word die. 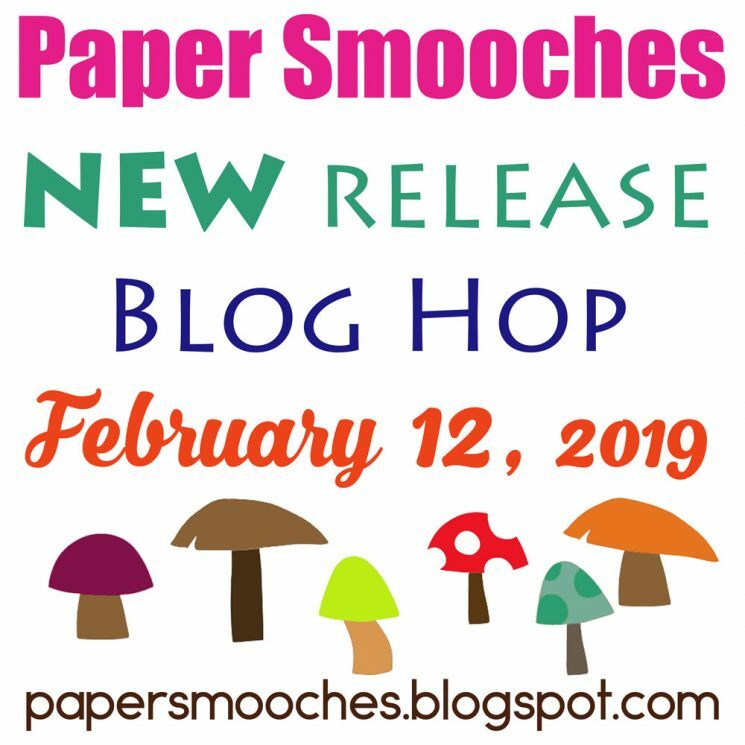 Here is all the details about today’s Paper Smooches Blog Hop for the February 2019 release! 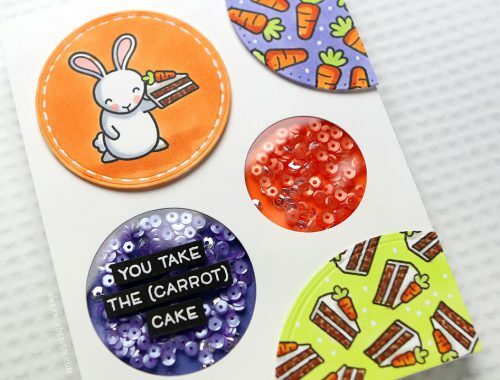 ONE new stamp set and FOUR new dies will be available to purchase at 10:00 AM Central time zone on February 14th. 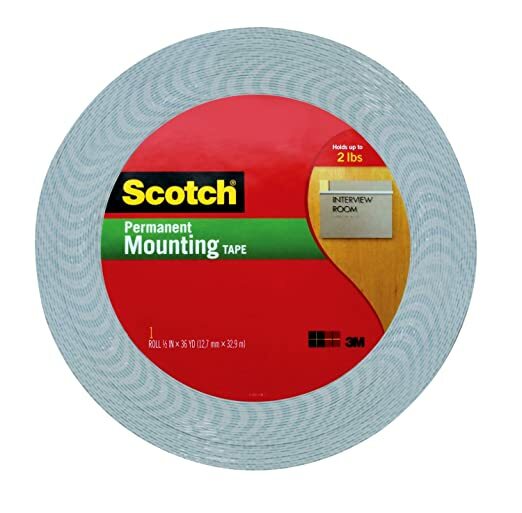 You will find the new products at their online store once they go live.